You Forgot Your Real Estate Business Card! What Now? Oh no! You meet somebody at the grocery store, but you don't have your business card? What do you do? Well, we have some solutions for you. 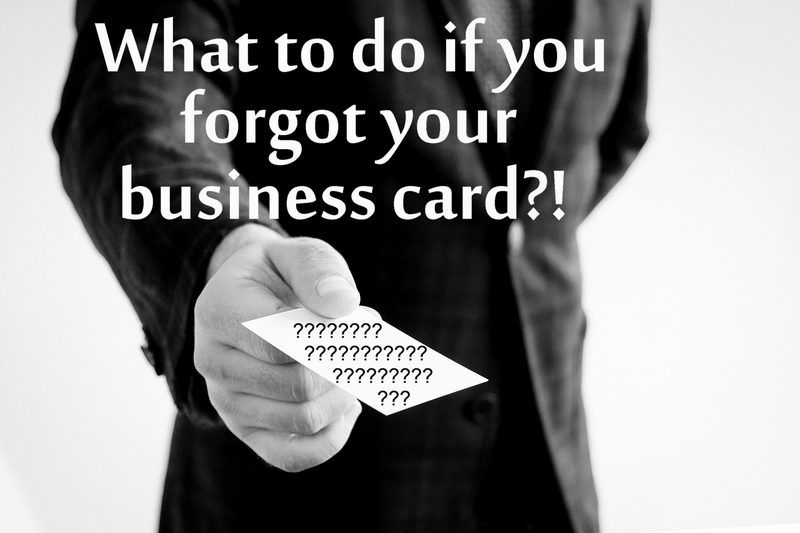 Let us imagine that you forgot all your business cards at home. Or maybe you are trying to save paper, and don't want to order business cards. You meet a prospective home buyer new to the area, but you have nothing to give them. Don't sweat it, it is fairly simple to get past this obstacle. What if they ask for a business card, and you have none? The below strategies also apply to people that ask for business cards as a way to brush you off. You can do one of the below, and casually engage them until they are ready to buy or sell a home. If they are not ready to sell their home, they are not ready...but the top producing agent is the one that will find other ways to keep them in their pipeline. We hope you are maintaining an engaging social media presence on your real estate Facebook page. The content that you post needs to cater to everybody, not just people buying or selling their home. That is a whole other topic though. Have the person pull out their phone and follow you on whichever social media platform you focus on for your real estate business, whether it be Facebook, Instagram, Snapchat, Twitter, Youtube, or any of the new ones that are popping up. This is a great way to keep them engaged after the encounter. Perhaps during your conversation, you learned about a specific need that this person needs when considering what to look for in their new home. It just so happens you are the expert in such needs! Instead of giving them a business card and wait for them to reach out to you, you can be proactive and ask for their email address. With their email address you can send them listings that match their preferred home criteria. It displays excellent customer service with how attentive you are to their needs. You know what stinks about internet leads? The lack of a real phone number! Or if you do get a phone number, they won't answer. With a real life real estate prospect there is a higher likelihood that the person will answer because you have already built rapport with that person. Skip the email campaigns and Facebook likes, and go straight to the conversation!